Underlying the incredible new launches HubSpot announced is Brian Halligan & Dharmesh Shah’s vision of the way the world of sales and marketing is changing. 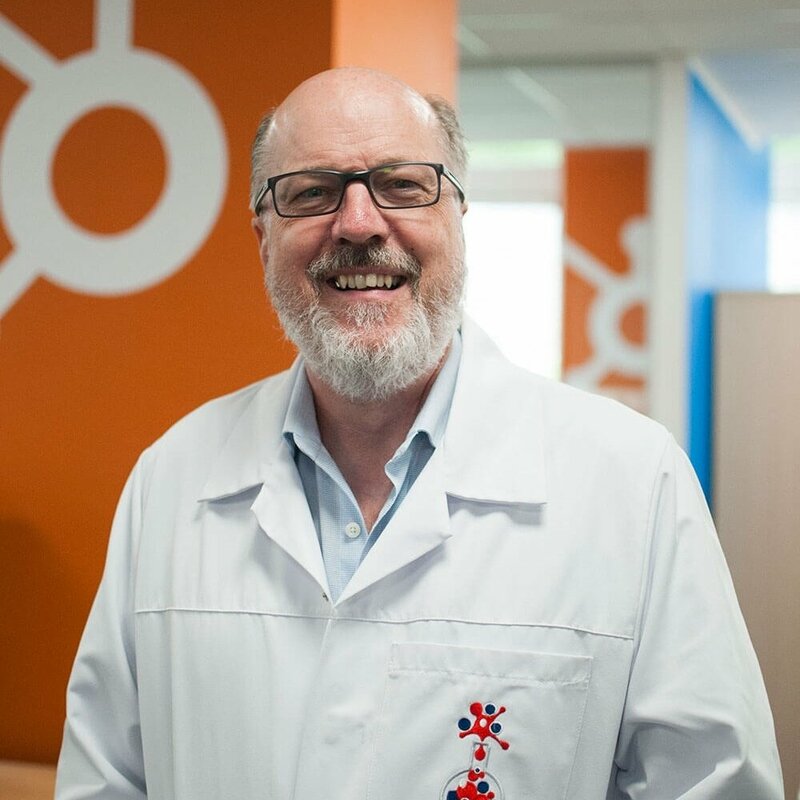 With HubSpot’s marketing automation software complimenting the way inbound marketers work, Halligan has turned his attention to sales. If people are buying differently, that doesn’t just affect Marketing, it affects Sales too. The radical change in the way people buy today has left the “sales playbook broken”. Why is this? The seller no longer has all the information with which they can push the buyer through the funnel; today, the modern buyer has just as much information. So Halligan reviewed the Sales Perspective, Sales People and the Sales Platform and the new announcements are the result of his findings. In the modern business world, it is the prospect that has all the power, and the sales rep is no longer their trusted advisor, Google is. The buying process has become ‘Netflixified’ and ‘Yelpified’ – we no longer buy, we subscribe or rent, and everything is reviewed thanks to the likes of Trip Advisor and Twitter. If it hasn’t happened to you yet, it will do soon… even prisons are getting reviews! So your sharp elbowed, extroverted sales rep who is chanting the “Always Be Closing” mantra is not properly equipped to sell to the modern buyer – the sales person needs to change to reflect the modern sales process. Halligan describes the perfect, modern inbound sales rep as having the MASH characteristic – Motived, Ambiverted, Sharp and Helpful. And their mantra now? Always Be Helping. What does this all mean for the sales platform? With a new sales process and a new sales person, are the sales tools you’re using still appropriate? Halligan believes that the tools your sales team are using are still necessary and useful, but they’re not sufficient. Your CRM is great for your VP of Sales who needs to track sales, but is burdensome for your rep who is making the sales, with countless forms and hours spent entering data. Then there’s the whole host of sales acceleration platforms that your reps are juggling. Last year HubSpot released Signals, the ‘Superhero utility belt’ for your Sales team. This year Signals gets a rebrand and power boost to become the Sidekick your Sales Superheroes always wanted. Sidekick is a fully integrated sales acceleration system, which will help your sales team match the way they sell with the way people buy, help them to sell more, and do so more effectively. 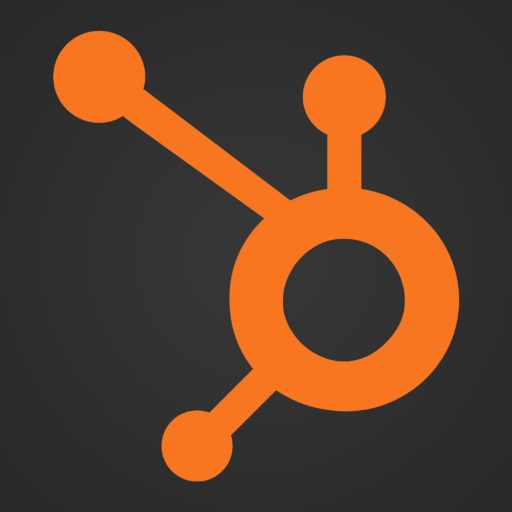 But HubSpot didn’t stop there – HubSpot has launched their very own CRM. 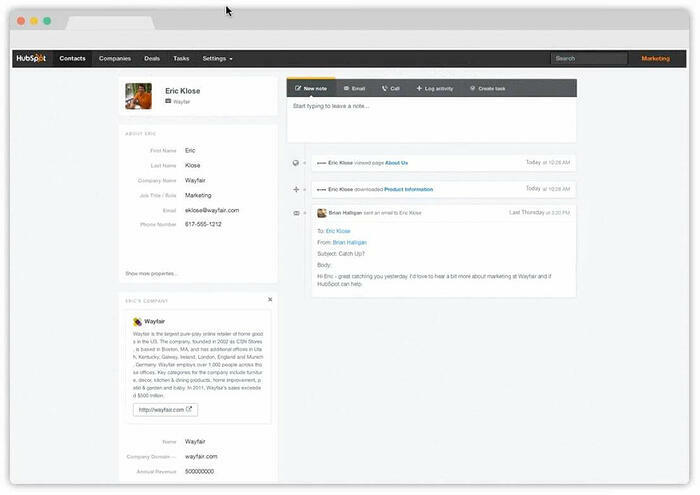 HubSpot now have a CRM designed by and for sales teams. It automates the burdensome jobs usually associated with a CRM, leaving your reps to get on with their most important job - selling. Sidekick has a sidebar which will appear in your emails, so when you're sending an email useful details about your contact will appear - like their name, title, social media profiles, a history of their interactions with your company and campaigns - giving you some extra context to help you write your email. Then once you’ve sent that email, Sidekick will automatically add that person to your CRM, add your email to their timeline and pull any additional information they can find for that person and their company from HubSpot’s own data sources. The sidebar even comes up when you’re on a company website so you can see what data you have on that company in your CRM already. Sidekick will then; recommend additional data to add - like other employees to add to your contacts; find that data for you - like their name and email; and then allow to add it to the CRM all with a the click of a button. 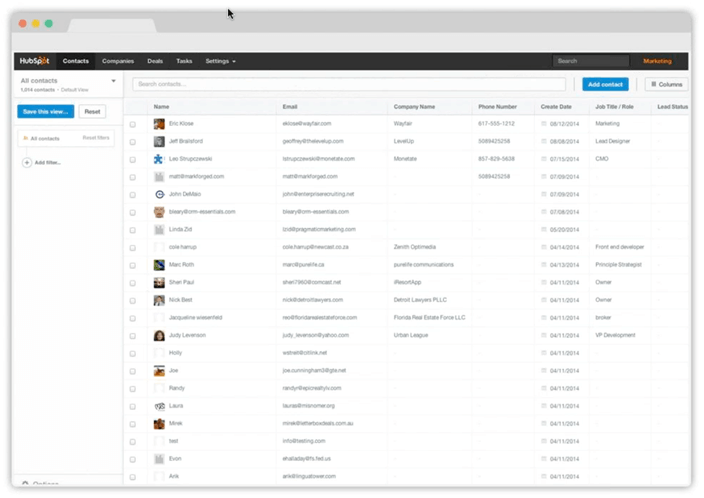 Your CRM and HubSpot Contacts tool become one database, with no integration necessary - so everything you see on the marketing side, all the lead intel, form submissions, website views, can all be accessed on the CRM too. In contact view, you can make a note, send an email or calendar invite, log an activity, create a task and even make a call. Plus you’ve got a full history of all their activity and contact details. The call function lets you make a call straight from your CRM using VOIP, then records the call, logs the time and length, and allows you to make notes there and then. 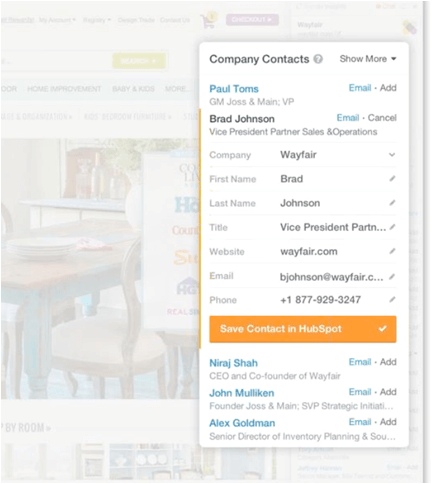 Simply click save at the end of your call, and its logged in your CRM. Its easy to track and close deals better and faster. All deals are viewable in a table or board view, categorised in stages, and the sales dashboard gives you all the performance analytics you need. Did I mention it’s free too? That’s right, the HubSpot CRM is COMPLETELY FREE. They will be rolling it out to HubSpot and Signals/Sidekick customers first, then by 2015 it should be available for everyone and anyone to implement. Together, the HubSpot CRM and Sidekick make up the HubSpot Sales Platform. Dharmesh Shah's section of the keynote discussed how to achieve exceptional growth and the leverage you need to achieve it. 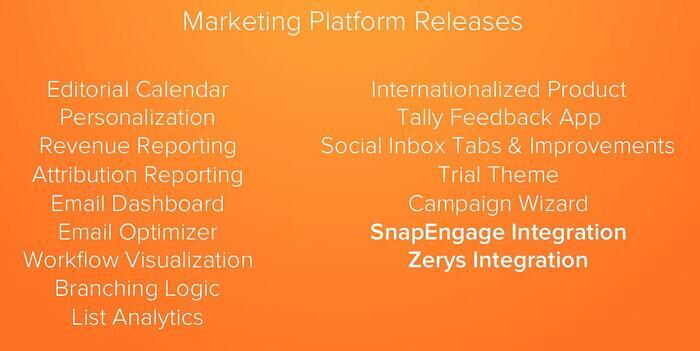 As part of his keynote he also revealed a whole host of new tools within the HubSpot Marketing platform aimed at helping you manage your content and campaigns more effectively for your prospects and customers. Read on to discover some of the core tools that were unveiled. Last year HubSpot launched Smart content - personalisation of your web content according to your contact’s lifecycle stage or list membership. Now, using the HubSpot COS, you can tailor your web content even if you don’t recognise the visitor. So if you want a more condensed homepage for those looking on a mobile device, or different prices for certain countries, this function allows you to do just that. Personalisation can be based on country, device type, referral source, contact list membership and lifecycle stage. Managing your content calendar can be a big task. The new editorial calendar allows you to organise all your content and the team members the content is assigned to, as well as coordinating campaigns and managing projects. There’s a month, week, daily and list view, displaying content across all channels – blogs, email, social and more. 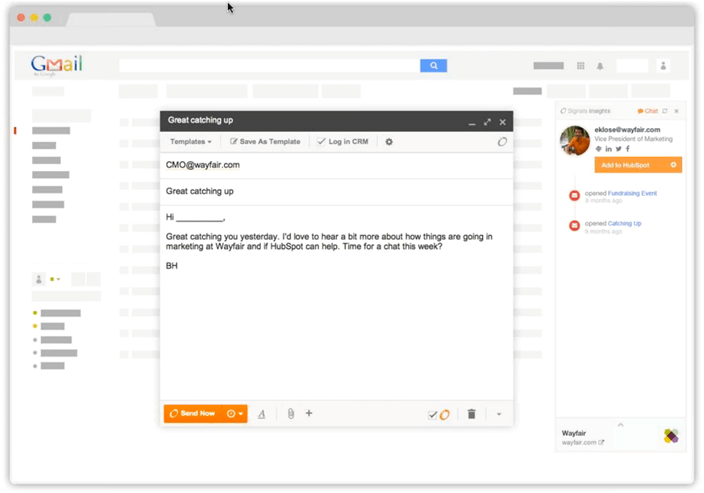 Following the launch of the live optimisation view for Blogging last year, this year sees the launch of the new email optimisation view. Spotting potential problems with your emails before you send them, so that you can rectify and increase deliverability and click-through rates. Database decay is estimated at 22.5% every year*.The new list analytics tool will keep you continually updated on the health of your HubSpot lists, showing how engaged your contacts are and which contact records are no longer valid. 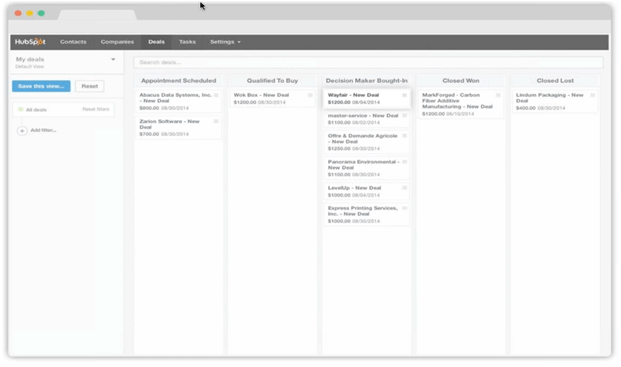 HubSpot workflows can now be programmed to send your contacts down different paths within one workflow, depending on their engagement and interaction with each workflow stage. There are a many more features in addition to these, including two new reports for attribution and revenue. Take a look at the full list of new features below. To find out more about how the HubSpot Marketing Platform, HubSpot CRM & Sidekick tools can turn your Marketing and Sales teams into whole gang of Superheroes click the link below.